I still have mass amounts of candy and sweets in the house from the holidays. I definitely wanted to use some of it up, no I needed to use it up. I don’t know about you, but its dangerous having chocolates and goodies hanging around the house tempting me! It’s strange, I can buy goodies for baking with and I am never tempted to just pig out on them but any other goodies laying about are fair game! That’s how these amazing little cookies came about. I had a tube of mini Rolo’s in the cupboard and after having cookie success before with Chocolate Rolo Cookies, I was definitely using them. I don’t know about you but I am totally in love with Biscoff spread, it tastes so good. It’s almost as addictive as peanut butter. Spoon & jar….. enough said! 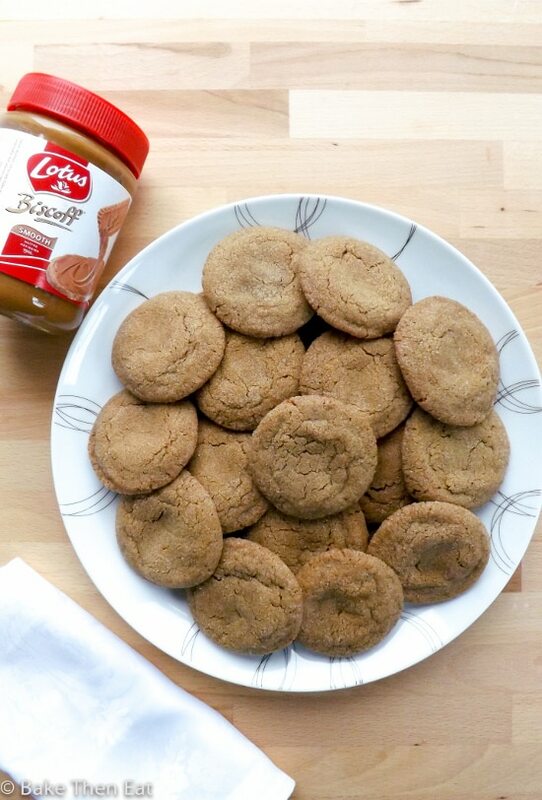 Biscoff is the only kind of cookie butter available in the UK at the moment, but I am sure it would work with any brand. After all I am not a brand snob, I will always give the cheaper option a go when there is one available. Especially when you are baking as much as me, it can get costly using brand names exclusively. A lot of people I know would never bake with frozen fruit but I find it great. Its far cheaper than fresh fruit and you get a far wider range all year round as well. These cookies are crispy round the edges and soft in the middle, and this is helped by the chocolaty caramel hidden surprise in the centre. 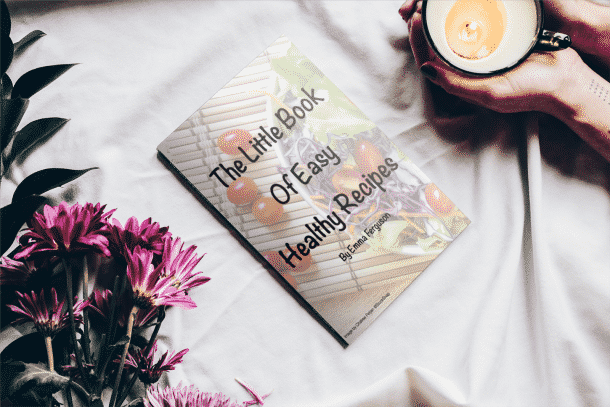 The sugar coating also gives them an extra little crunch. I have tried these with both smooth and crunchy Biscoff spread and both were lovely. The sweet Biscoff spread, flavours every single bite of these lovely little cookies. 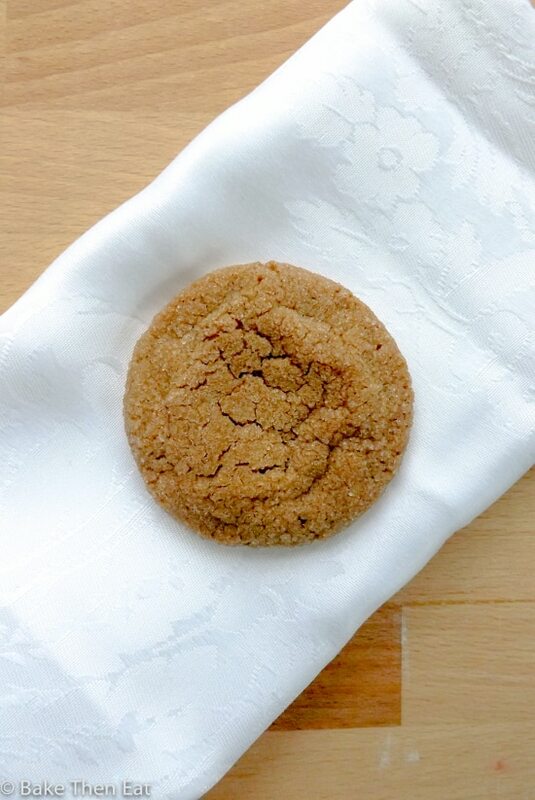 Soft & chewy cookies flavoured with Biscoff cookie butter with a lovely crispy sugar coat. 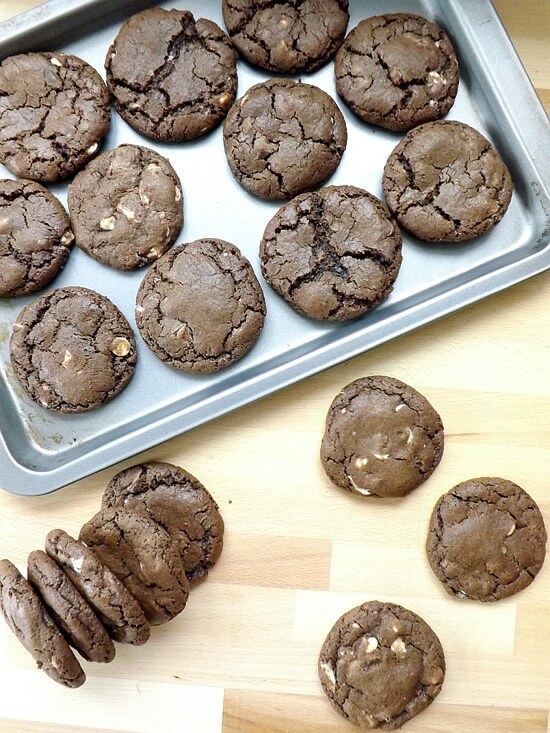 The hidden mini rolo gives these cookies a lovely chocolaty caramel centre. Add in the egg and vanilla extract, and again beat on a medium speed until everything is well combined. 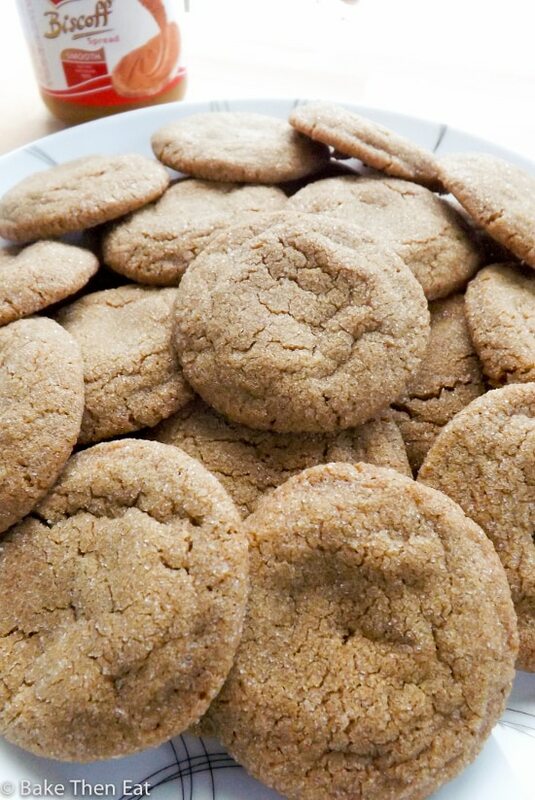 Add the Biscoff cookie butter to the batter and mix on a low to medium speed until you have a smooth creamy batter. Sieve in the flour, baking soda and salt. 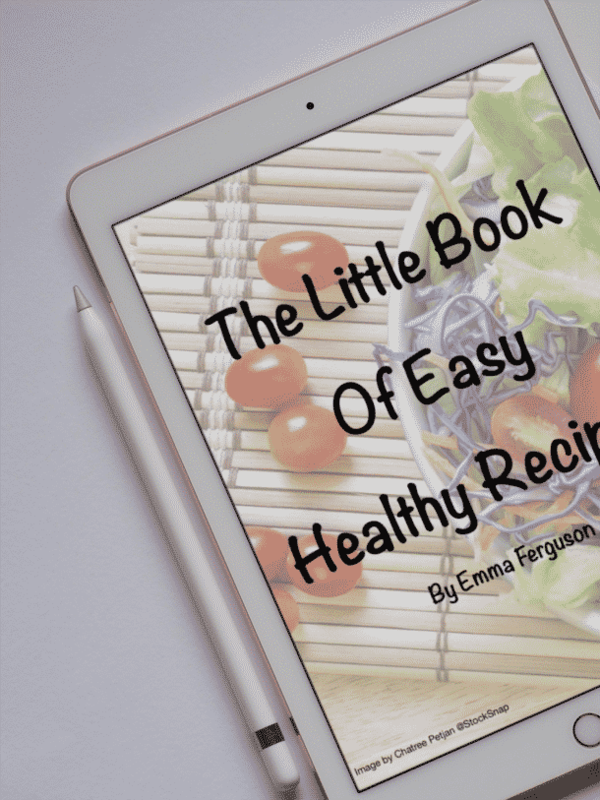 If using an electric mixer only mix for a minute for the flour to be incorporated. If doing by hand gently fold in the flour until just combined. Place the dough in the fridge for a minimum of 30 minutes. This will help firm up the dough so it doesn't spread so much in the oven. It also makes it easier to handle. Leave it in longer if you wish. Line 2 large baking sheet with baking parchment or silicone mats and preheat your oven to 180C / 350F / Gas mark 4. Using a measuring tablespoon scoop out the cookie dough, roll it into balls and push a mini rolo into each of them. 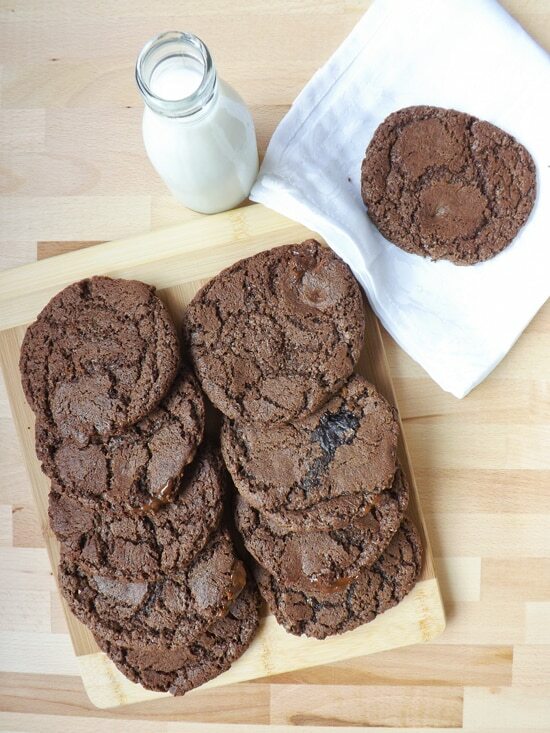 If you want to make larger cookies you can but adjust the cooking time accordingly. Bake them between 12 to 15 minutes, depending on how crunchy you want them. I found 13 minutes to be the best time. But ovens do vary and mine is a slow oven. After each sheet has baked allow them to sit on the hot sheets for 5 minutes before removing them to a wire rack to fully cool down. Kept in an airtight tin these cookies will keep well for up to 5 days. 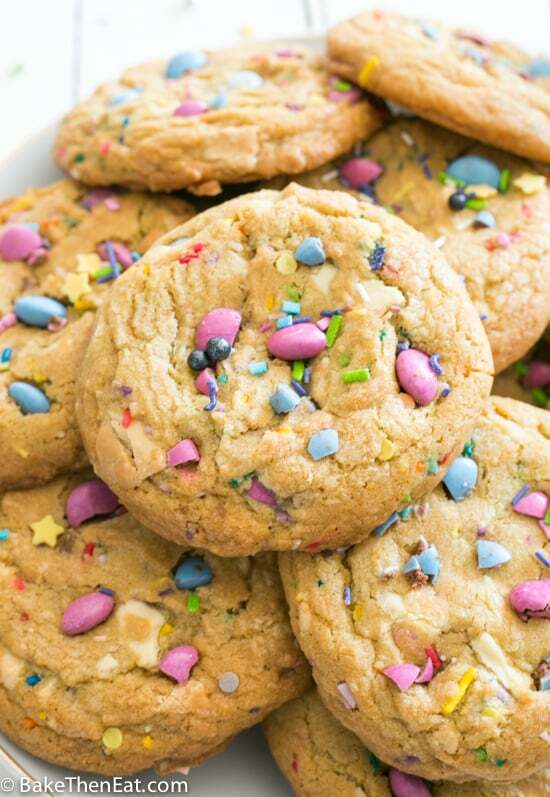 These cookies sound incredible and so addicting! I have such a weakness for Biscoff and Rolos so I would have a hard time not eating 10 at once. They look delicious, Emma! Hi Kelly they were very hard to stop at just one!!! I was about to type, “You still have candy? ?” Then I realized, so do I. I keep moving it around in the refrigerator to find stuff. I think I need to get baking. Oh my gosh Rolos!!! I haven’t had them in years!! Bringing back memories from childhood 🙂 These cookies look fantastic! Hi Ashley thank you. I love Rolos they are so addictive! I adore Rolos AND Biscoff so these will definitely happen in my kitchen! I can resist the candy, but the candy IN cookies is another story!!! Hi Liz they are a great combination but deadly to have around! Hi Brianna, thank you. Too much candy in the house is deadly for me I keep snacking on it! 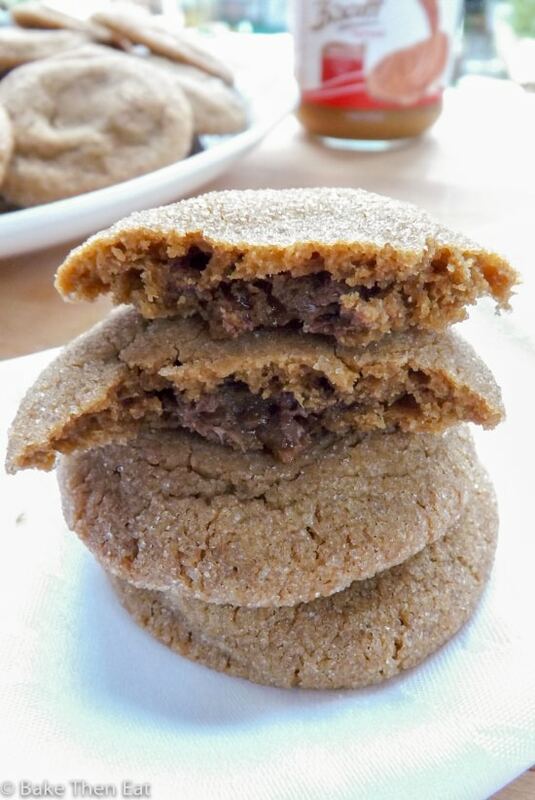 I have never had biscoff…these cookies sound and look very tempting! Hi Angie, biscoff is sooooo addictive! I like your idea on how to use up holiday leftovers. Good idea! Oh god. These look amazing. 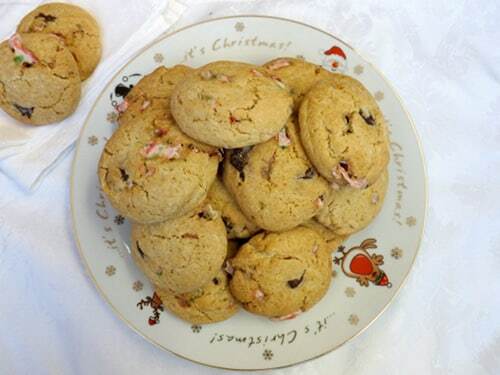 Chewy cookies are kind of my favourite….